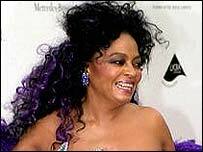 One of pop music's most successful stars, Diana Ross has been jailed for two days for drink-driving - the latest twist to her turbulent life. 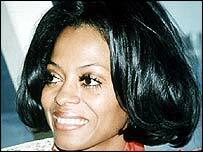 Diana Ross shot to fame as the leader of girl group The Supremes in the 1960s. 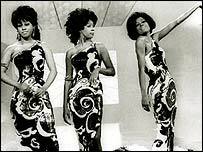 Signed to the soul label Motown, The Supremes were formed with Mary Wilson, Barbara Martin and Florence Ballard as The Primettes in 1959. After Martin's departure, the Supremes went on to become one of the biggest groups of the decade, scoring 12 number one hits. In 1967 they changed their name to Diana Ross and The Supremes - there was no guessing as to who had control in the group. After 1969's Someday We'll Be Together, Ross left the group, embarking on a solo career. The 1970s started in style with the release of the evergreen soul classic Ain't No Mountain High Enough, then with her starring role as Billie Holiday in the 1972 film Lady Sings The Blues. The 1970s also saw her duetting with Marvin Gaye on an album, starring in more films such as Mahogany and the musical The Wiz, also starring a young Michael Jackson - who she was rumoured to have had an affair with. She also created column inches thanks to her affair with Gene Simmons, the bass player from glam rock group Kiss. In 1981 she scored the biggest hit of her career, the Lionel Richie duet Endless Love, starting a decade which saw her chart with the slick Muscles and Chain Reaction, produced by the Bee Gees. Ross married Arne Naess, a Norwegian shipping magnate, in 1986 following rumours she was to wed Motown founder Berry Gordy. In 1994 she famously opened the football World Cup in the US, fluffing a penalty in full view of the world's television viewers. Her marriage to Naess petered out in 1999, and she made headlines after allegedly assaulting a female flight attendant at London's Heathrow Airport after the attendant had tried to conduct a body search before she boarded her flight. She returned to the US after being cautioned by police. Ross later described her experience as a "day of total humiliation". A year later a Supremes tour with Ross as the only original member - her relationship with the others having dissolved into acrimony - folded after disappointing ticket sales. In 2002, Ross booked into a rehabilitation clinic in California to deal with long-running battles with drug and alcohol addiction. In December 2002 she was arrested after a motorist reported a swerving vehicle on roads in Tucson, Arizona. Ross was later charged with drink-driving. Last year, she announced she was writing her memoirs, which would include details of her arrest, and the disastrous Supremes "reunion" tour. The book - Upside Down: Wrong Turns, Right Turns and the Road Ahead - is due out later this year.